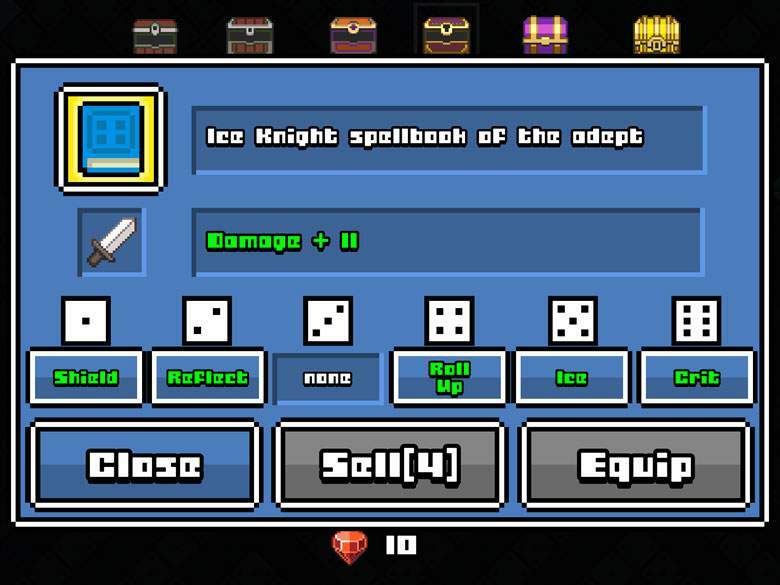 Dice Mage is available only on iOS devices. Android users you’re out of luck. 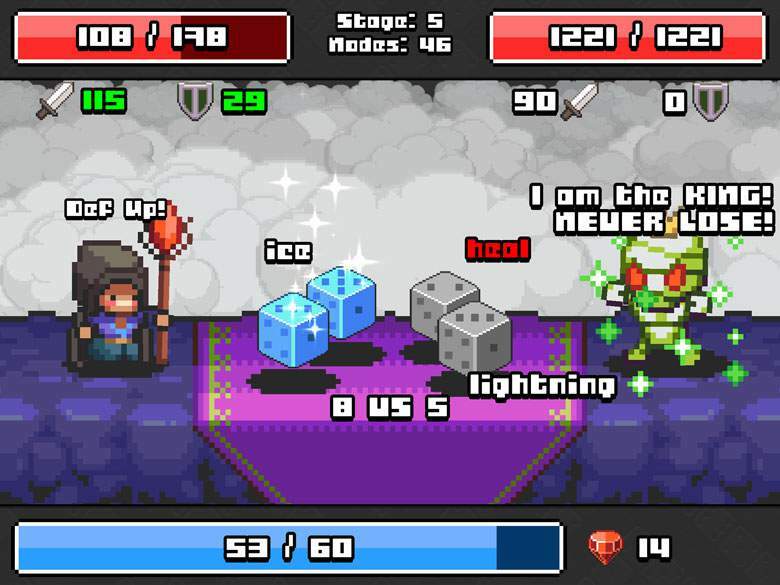 Dice Mage is a little RPG game for mobile users. It combines magical exploding dices with a spell combat. You explore and you fight, you fight and you explore. You win loot only by participating in a high-stake game of chance. 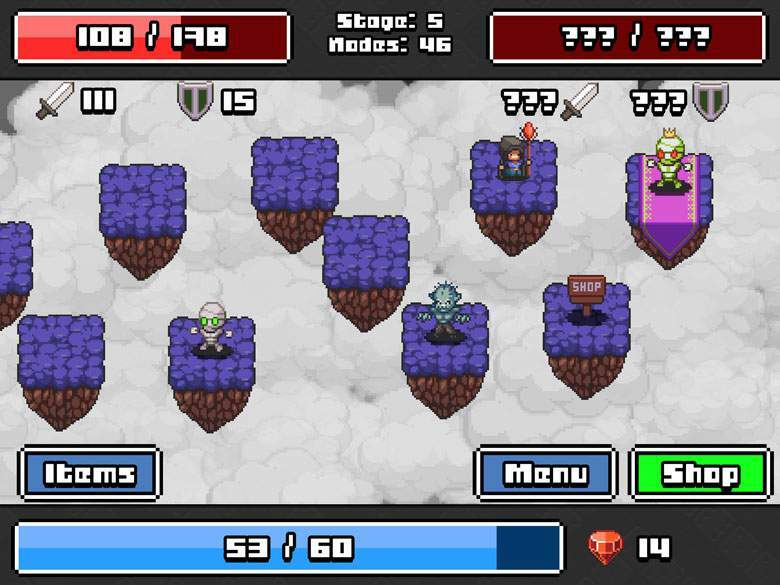 Do you have what it takes to complete this quest to defeat all evil? Check our Dice Mage Game Guide if you’re stuck in a pickle. 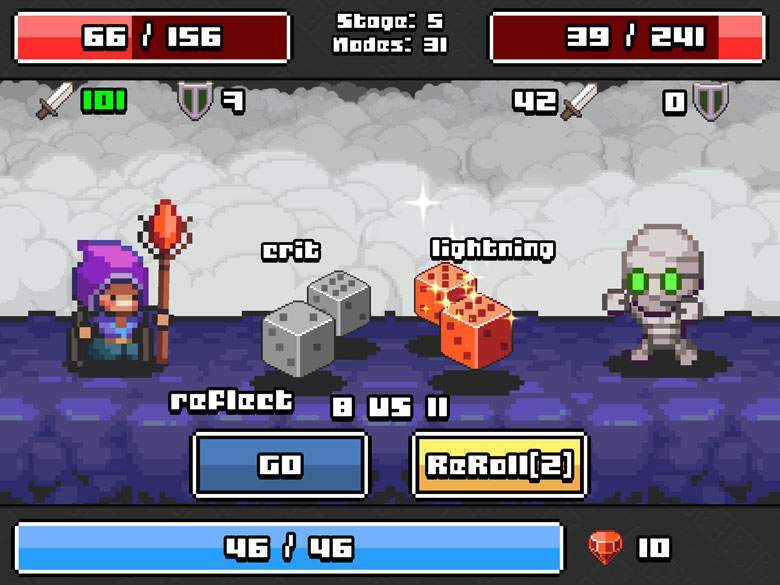 Our Dice Mage Game Guide follows tips, tricks and cheats. Be sure to read them more than once if you want to be crowned victor! Dice Mage isn’t going to bite back son. Don’t be afraid of losing a Roll or taking a hit. That’s how life goes. You win some, you lose some. Dice Mage isn’t solely based on chance. You have decisions to make, and these rely on your more cunning abilities. Should I Go or Re-Roll? You might have the chance of whispering a certain spell that will shield you from an enemy’s attack. Others might even kill your foe before they even have a chance of attacking. At the beginning of your journey, you won’t have that many spells. Your primary attacks will consist of Die damage. Explore and look for a staff. Staffs are your primarily token of upgrading your damage. They are super important, but more important is on what sides of the die you pick them. Spell books with high crit damage should stay on #5 or #6 sides of your die. Having it on a higher number will ensure that your crit gets activated on more occasions. Boss fights are pretty tough. More so when you’re at the beginning of your journey. Always check that your HP and MP are maxed before starting a boss fight. Don’t go head in. Instead, go blazing in! 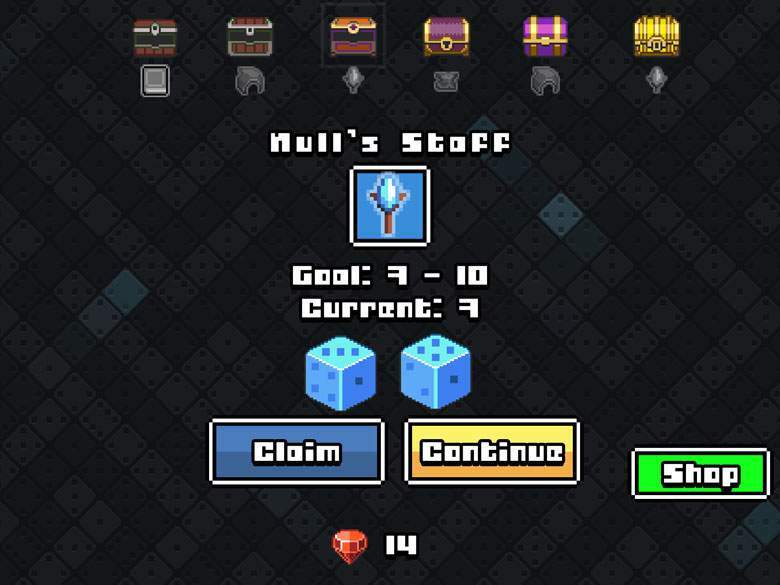 Each boss has a unique pattern and trait. This makes them super hard to vanquish because you don’t really know what to expect the first time you’re battling them. Some of them will Re-Roll as soon as you Re-Roll. Some of them will get stronger and enter berserk mode when they get attacked. Pay attention so the next fight will crown you victor.